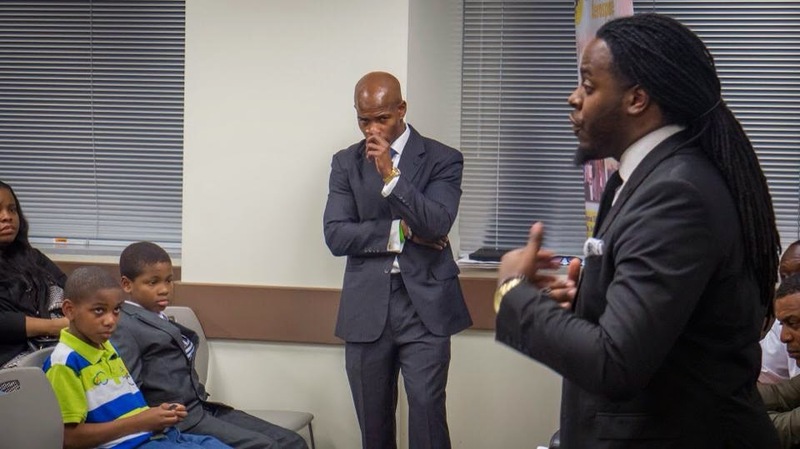 Home Tags Posts tagged with "black male summit"
These are the opening words shared by Deric Muhammad in his newly released mini-documentary, “SMART’N UP! – The Black Male Experience“; an Akilah Nehanda Production. “It’s my duty to help my young brothers get over the wall,” says Muhammad, the executive producer of the mini-documentary. He founded and has led the summit the past ten years. 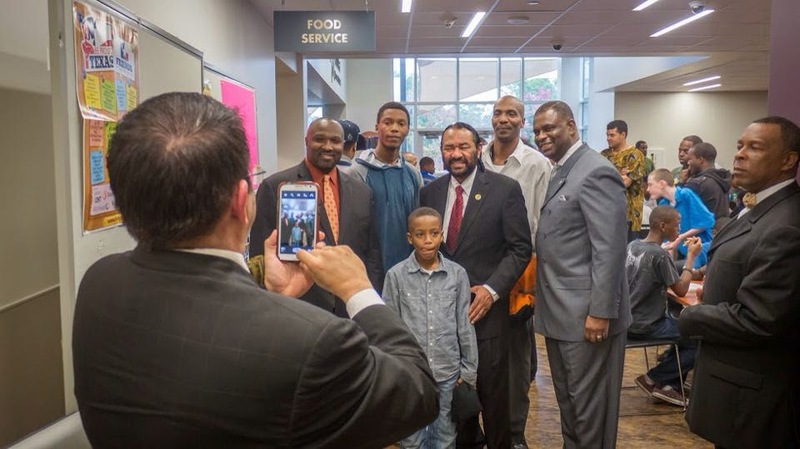 The “Smart’n Up” Black Male Summit is a Houston community-based motivational and educational summit designed to address the unique needs of Black men and boys. 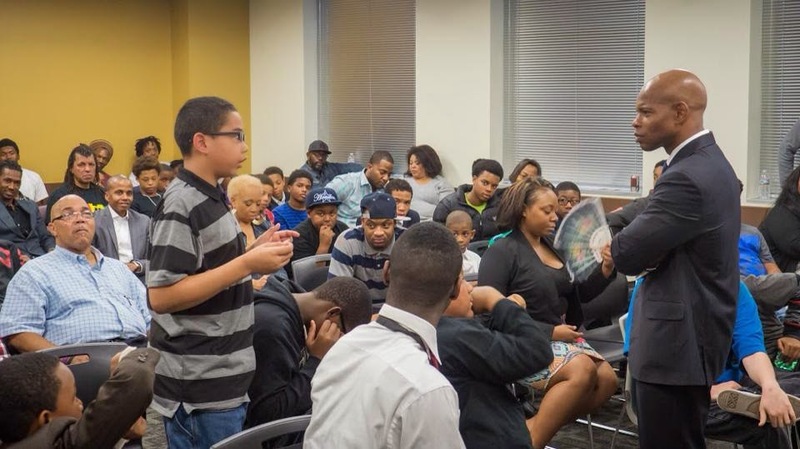 This free summit has presented an immeasurable and unforgettable opportunity to expose young Black males to empowering information, positive role models, potential mentors and critical resources to help them survive and succeed. The mini-documentary is definitely a must watch. Personally, it moved me to tears and makes me very proud of my brother. This work and accomplishment, by the Help of God, is not to be taken lightly at all. 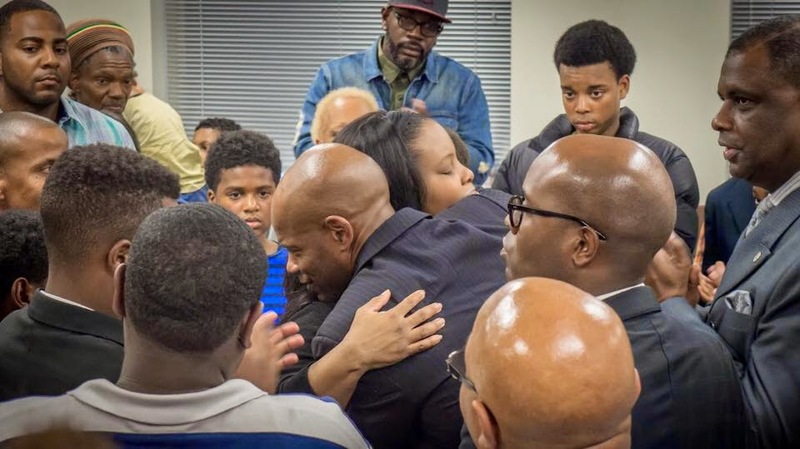 It takes serious love, dedication and the right motivation to stay consistent at anything for ten years–especially when it comes to the resurrection of young Black males. Too many of us start and stop things so quickly and then wonder why the young kings in the streets lack confidence in our leaders, programs, schools, religious institutions and organizations. The Honorable Minister Louis Farrakhan has declared that this is the greatest generation we have ever produced so we don’t have time to play with their hunger and thirst for knowledge, wisdom, understanding and direction toward their destiny. Why has Smart’n Up! been successful? What has been the not-so-secret ingredient? In my humble judgement it is because God has been and is the center no matter what venue it has been hosted at. 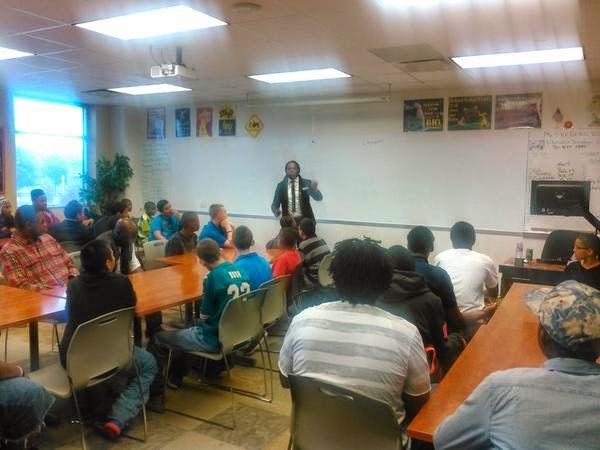 God cannot be left out of the equation if we want to achieve REAL success in the transformation of the young Black males instead of settling for feel-good moments that fade away quickly. So some of the most profound moments I’ve witnessed at the summits have come during the concluding prayer circle that has been led by leaders of various faiths. And even the presenters are God-centered men; not in a preachy spirit, but one of humility that connects with attendees. Previous summits have been said to have been a life changing experience for those who attended. 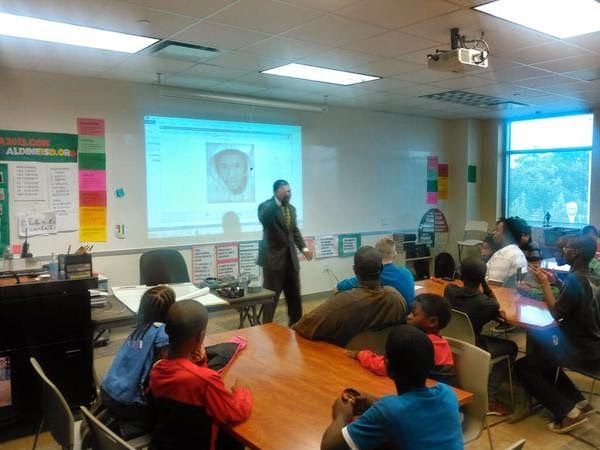 The workshops always contain serious messages on entrepreneurship, confidence building, stopping the violence, leadership, the prison industrial complex among other critical topics. The target age group is 12 years and up. However, anyone (including women) are welcome to attend. The next summit is scheduled for March 30 at The Shrine of the Black Madonna. And if you live anywhere near the Houston area, take your sons, nephews, grandsons, mentees, etc. to get this experience. Register free here. It would be a smart move and you won’t regret it. 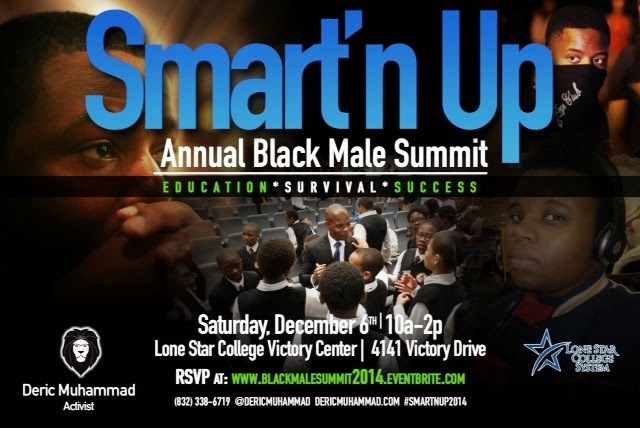 The central theme for the 2016 Black Male Summit is “Smart’n Up”; a saying that encourages Black men and boys to make choices based on intelligence vs ignorance. A sub-focus this year will be the importance of HAVING A PLAN. I am concerned that our young people believe we live in a post-racial era and don’t feel the need to THINK, PLAN & EXECUTE. We must also encourage them to be competitive. 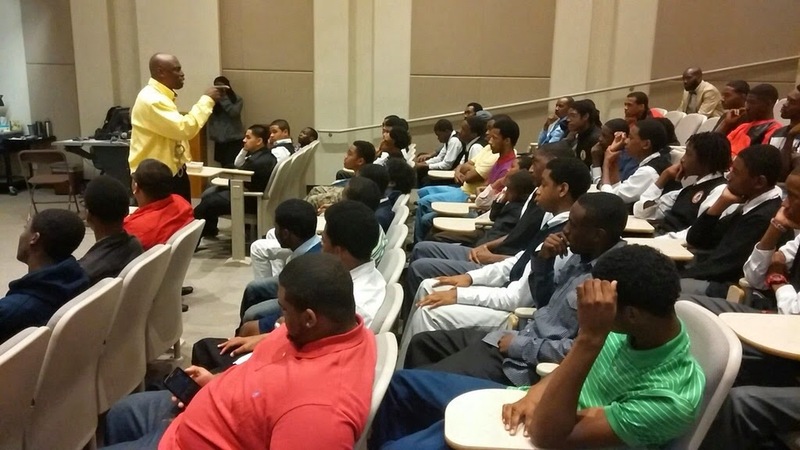 Black boys and young men have every right to be ultra-competitive. We just need to be competitive about the right things. The format for this year’s summit will be high energy, high impact and fast moving like always. I call it the ultimate Black male experience. We have some great workshops lined up. 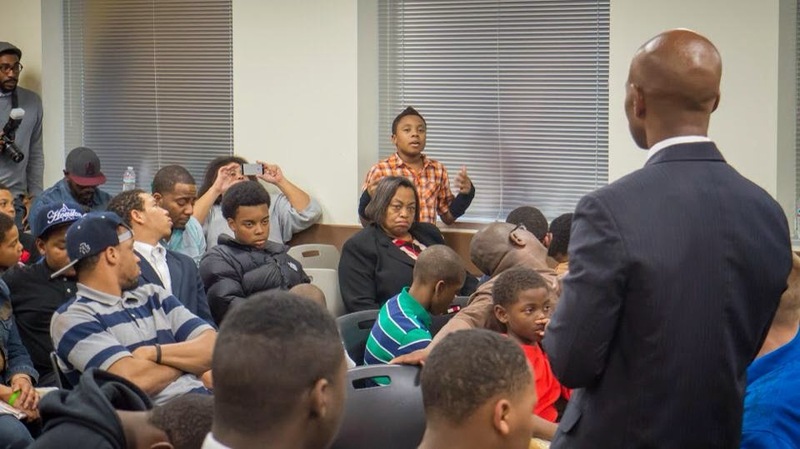 Our community must demand more programs that address the specific needs of young Black boys and men. It amazes me that Black males are at the bottom of every social category, yet there are so few programs that address our needs. 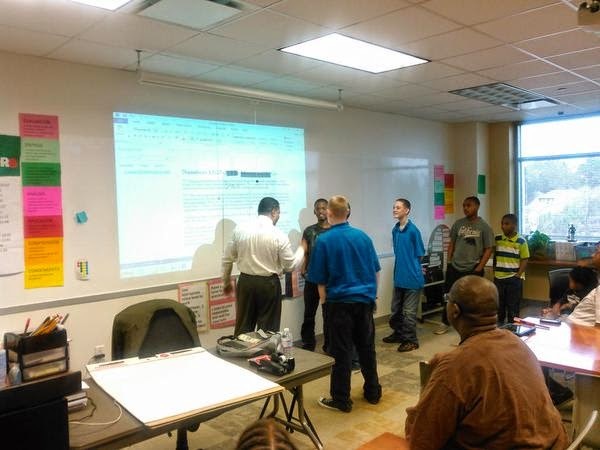 The goal for this year’s summit is to make an impact on these men and boys in the most critical areas of their lives. We want them to leave with a heightened sense of self and a renewed focus to survive and succeed. 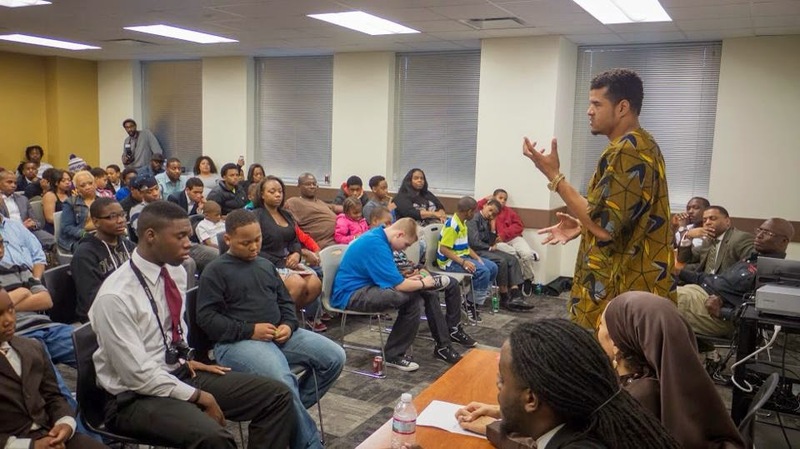 Young Black males don’t need more charity. What they need is inspiration and sound guidance. God willing, we hope that some of them will leave with a mentor that they can call their own beyond May 21st. Those who say this generation of boys and men are hopeless are those that watch too much television. The news media, through the negative images portrayed on the nightly news, have successfully poisoned some of our minds against our own children. It is sad. At our summit the community is reminded that not all of our boys have one foot in the grave and the other on a banana peel. They get to see positive male images everywhere. Even the “wanna-be-thug” is affected by the positive energy at the summit. Our approach is simple. 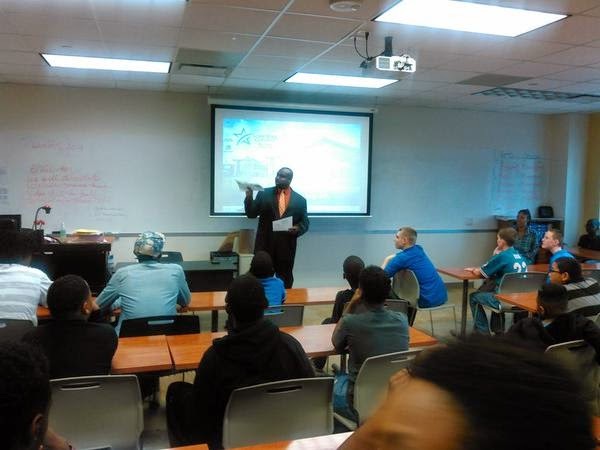 We feed off of and feed into the nature of Black males. The Hon. Elijah Muhammad teaches that our people are righteous by nature; unrighteous by circumstance. I am able to reach young Black boys, when given the chance, because they see in me somebody who sincerely believes in them. My approach is based on my experience. I can identify with them because I have been under those circumstances before. My childhood was not ideal; not at all. I understand their pain. And just like someone saw the good in me and brought it out…I see the good in them and I pray God’s help in bringing it out. I think I speak for all of the other presenters, organizers and overseers of the 2016 “Smart’n Up” Summit. I want to thank everyone who has supported the summit in the past. It is you who have created the demand that has brought it back for the seventh time. We encourage everyone to register at www.BlackMaleSummit2016.eventbrite.com. 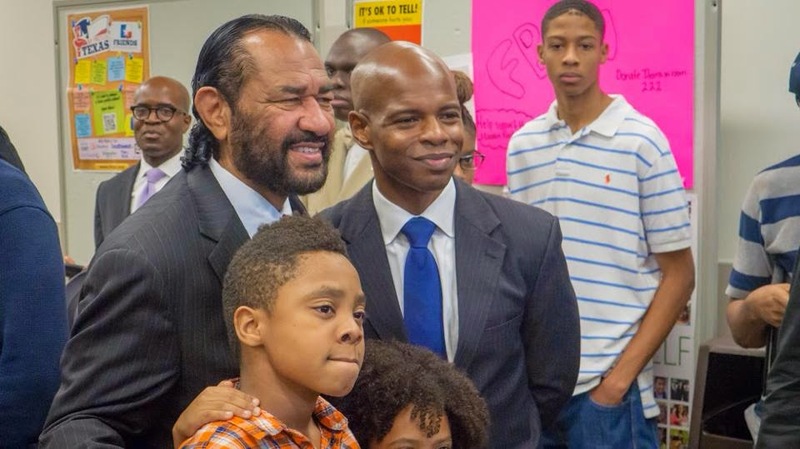 “There is a frustration in America, particularly among Black males who feel socially, economically, politically and personally suffocated in today’s climate. Young people in this country were already on the edge. 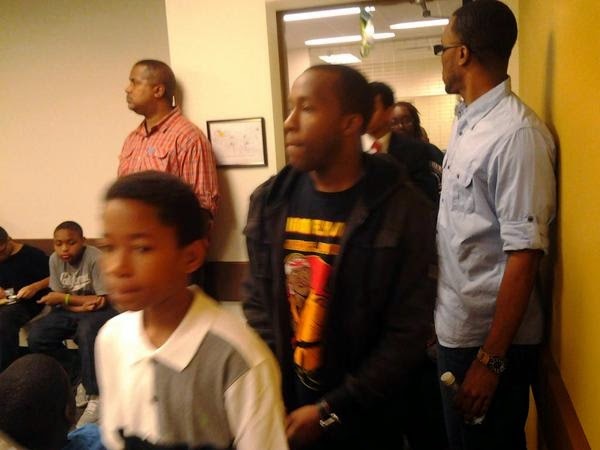 The death of Mike Brown just pushed them over,” said Muhammad. 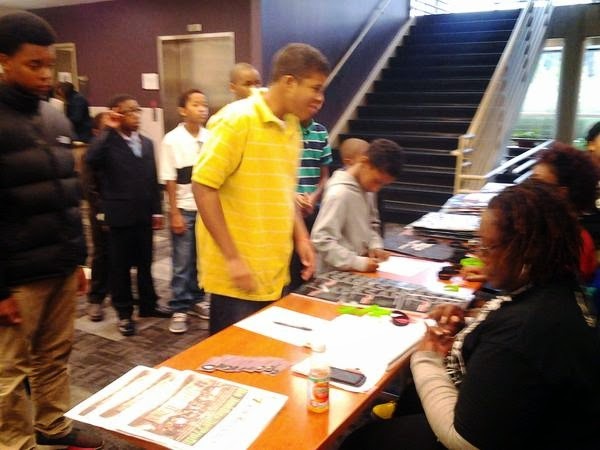 The 4-hour event included threeÂ rotating workshops on Education, Survival & Success led by a plethora of effective speakers.Â Presenters included A. J. Mcqueen (St. Louis/Ferguson Area Youth Activist/Poet), Pastor E.A. 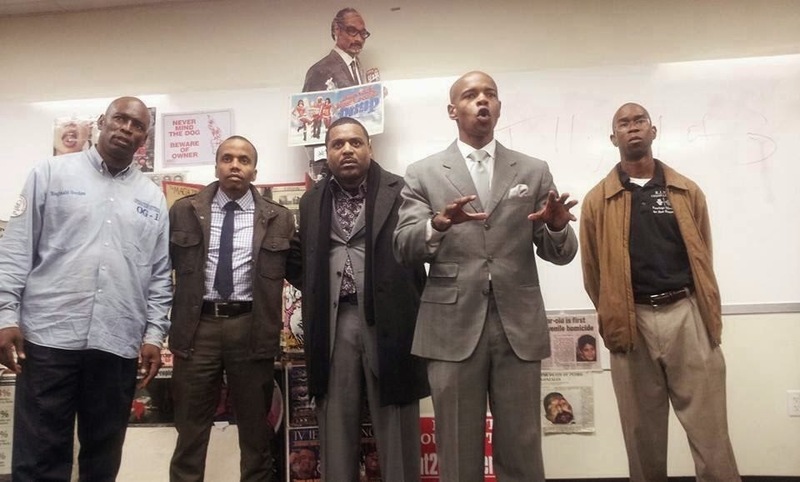 Deckard (Greenhouse Int’l Church in Houston), Jeffrey Boney (Founder of “The Black Dollar Project”, Host of “Real Talk” Radio on KCOH, Managing Editor of the Historic Forward Times Newspaper), Â Student Minister Robert Muhammad (Nation of Islam), Texas State Rep. Ron Reynolds, Reginald Gordon – (Operation Outreach OG1), Atty. Sadiyah Evangelista, State Rep. Sylvester Turner and more! 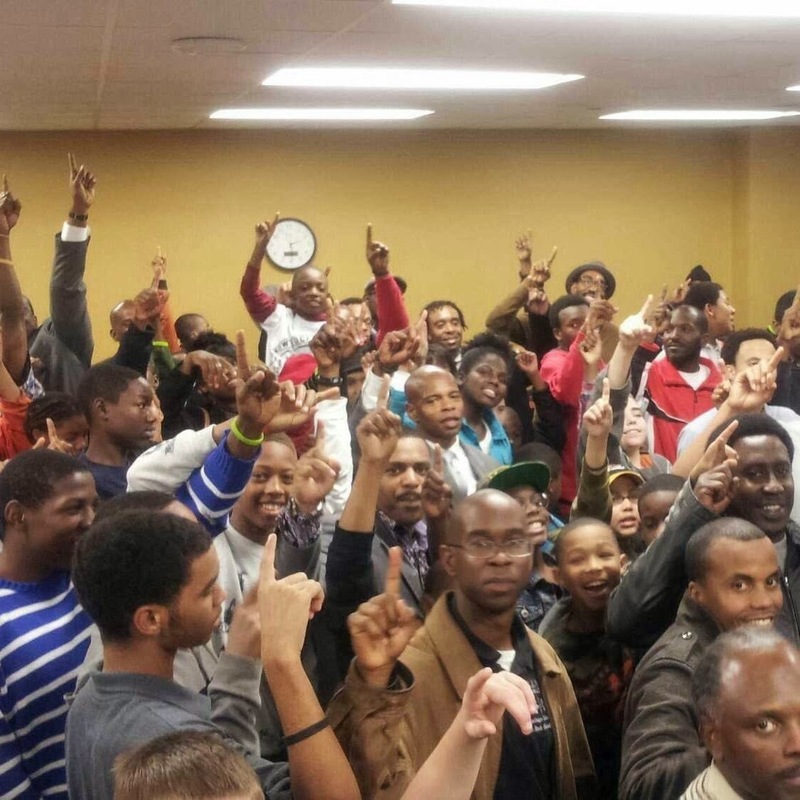 It was culminated in a special community town hall meeting entitled “The Ferguson Factor. 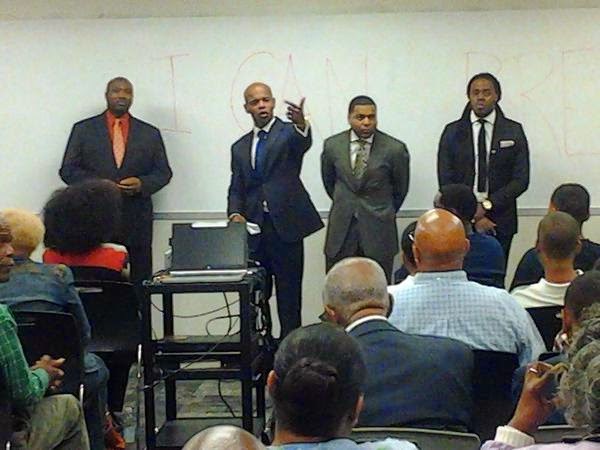 The openÂ forum included a candid discussion about police/community relations. 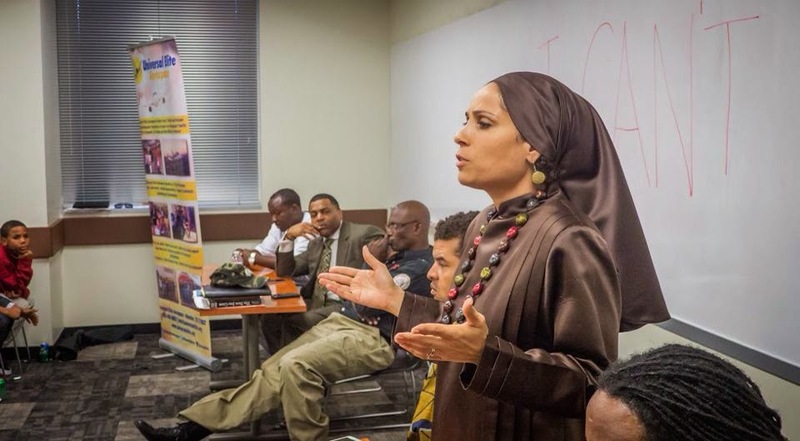 Muhammad said the objective was for attendees to leave the meeting knowing how to protect themselves during encounters with law enforcement; hopefully preventing the next American tragedy the likes of Mike Brown’s death. Congrats and thank you to all who helped to make this year’s summit a huge success. This is something every city in America could use. 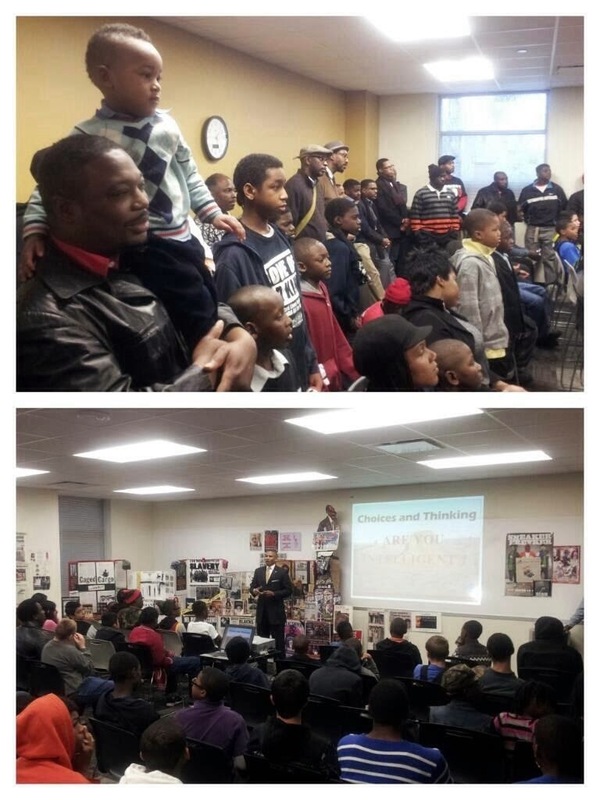 If you’re interested inÂ bringingÂ the “Smart’n Up” Black MaleÂ Summit to your city contact @DericMuhammad and visitÂ dericmuhammad.com. 10:30-12noonÂ – 3 Rotating Workshops on Education, Survival & Success. Atty. 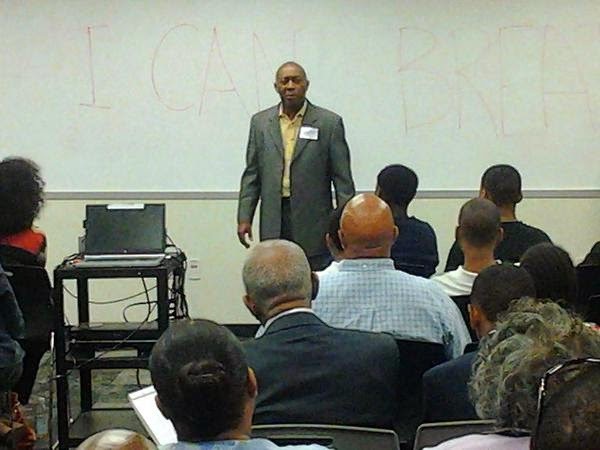 Dennis Spurling – “Know Your Rights Advocate” currently suing the City of Houston for racial profiling. HOUSTON – Reginald Gordon is very familiar with getting caught up in the American prison system at a young age. He served 19 years and 9 months behind bars. People usually write off Black men who get a criminal record, the country is unforgiving even after they “pay their debt to society”, and most of them are expected to return to jail upon release. Gordon has personally beaten the odds and since being out of prison for over 17 years, he has been relentless in his efforts to save countless young boys and girls from going into the “Belly of the Beast.” If they’re already entangled in the system, he’s not giving up on them. “As a community, we have distanced ourselves from the youth. We have to regain the confidence, respect and trust of our young people. We got to almost be willing to sacrifice our life to gain respect. They don’t see hope in most of our organizations anymore”, said Gordon. 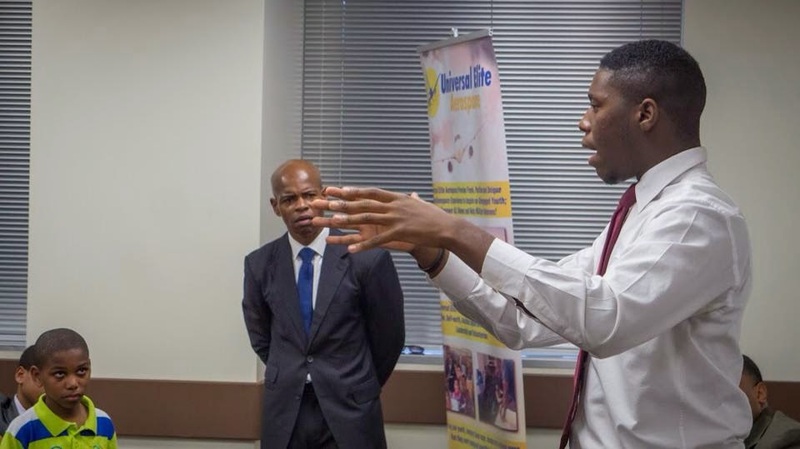 Gordon’s platform is Operation Outreach OG1, which has consistently offered a plethora of unique services to the community, with a particular focus on youth. Gordon said that aspect of the seminar was inspired by the recent tragedy in Pearland involving a man killing his pregnant 16-year-old girlfriend. Another case was an alleged sexual assault victim’s calling on police to take action after photos and videos of their alleged attack appearing on social media. “No matter what’s going on, I can’t stop doing this work. And there’s always more we can all do,” said Gordon. According to a study, one in every three Black males born into this world can expect to go to prison at some point in their life, compared with one in every six Latino males, and one in every 17 White males. This and more dismal statistics presented last year by the Sentencing Project in their report regarding racial disparities in the United States criminal justice system. Roughly 12% of the United States population is Black. Yet in 2011, Black Americans constituted 30% of persons arrested for a property offense and 38% of persons arrested for a violent offense. 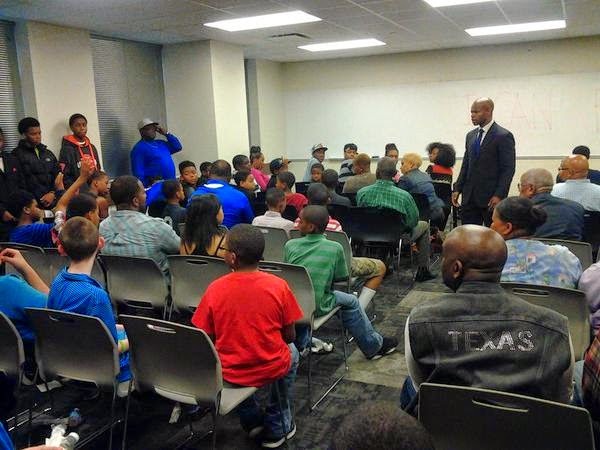 Black youths account for 16% of all children in America yet make up 28% of juvenile arrests. Between 1980 and 2000, the U.S. Black drug arrest rate rose from 6.5 to 29.1 per 1,000 persons; during the same period, the White drug arrest rate increased from 3.5 to 4.6 per 1,000 persons. A study found that White students were slightly more likely to have abused an illegal substance than Black students. Yet from 1980-2010, Black youth were arrested for drug crimes at rates more than double those of White youth. Blacks constituted 16% of observed drug dealers for the five most dangerous drugs but 64% of drug dealing arrests for those drugs. The Bureau of Justice Statistics found that while White, Black, and Hispanic drivers were stopped at similar rates nationwide, Black drivers were three times as likely to be searched during a stop as White drivers and twice as likely as Hispanic drivers. Furthermore, Black drivers were twice as likely to experience the use or threat of violent force at the hands of police officers than both White and Hispanic drivers. Blacks constitute 25% and Hispanic Americans constitute 29% of New York City’s population. Yet between 2010 and 2012, 52% of those stopped by the NYPD during “stop and frisk” were Black and 32% were Hispanic. White New Yorkers are 44% of the city’s population, but only 9% of those stopped were White. Blacks and Hispanics were slightly less likely than Whites to be caught with weapons or contraband such as drugs. Black and Hispanic defendants are far more likely to need the services of a public defender than their White counterparts. The report notes that the War on Drugs has been waged in racially disparate ways. From 1999-2005, African Americans constituted roughly 13% of drug users on average but 36% of those arrested for drug offenses and 46% of those convicted for drug offenses. “While the War on Drugs creates racial disparity at every phase of the criminal justice process, disparities in sentencing laws for various types of drugs and harsh mandatory minimum sentences disproportionately contribute to disparity,” the report argues. The report further notes that in 2010, the number of Black male offenders convicted of a federal offense subject to a mandatory minimum sentence was twice that of convicted White males. Mandatory minimum provisions doubled the average length of sentences received by Black defendants, from 76 months for all federal offenses to 152 months when the federal offense was subject to a mandatory minimum provision. Recommendations made by the study include establishing a National Criminal Justice Commission to examine incarceration and racial disparities; the United States substantially scaling back its War on Drugs; the elimination of mandatory minimum sentences; abolishment of capital punishment; full funding and staffing of indigent defense agencies; a policy requiring the use of racial impact statements; and the allowance of social framework evidence and structural reform litigation in trials. A gripping PBS film, “15-to-life: Kenneth’s Story,” chronicles how in June 2000, 14-year-old Kenneth Young was convinced by a 24-year-old neighborhood crack dealer to accompany him on a spree of armed robberies. He was caught and at the age of 15 he was tried as an adult in Florida. Shockingly, he received four consecutive life sentences, which meant he was assured to spend his last breathes in prisons. According to the website, “15 to Life: Kenneth’s Story” follows the young African-American man’s battle for release, after more than 10 years of incarceration, much of it spent in solitary confinement. rld that condemns juveniles to life without parole. “As I began to research, reading articles, reports and studies from individuals and groups on both sides of this argument, I discovered some shocking statistics: 60 percent of children sentenced to life without parole are first time offenders and every 13 and 14-year-old sentenced to life without parole for a non-homicide crime is a child of color,” she said. This and more is why the work being done by Gordon is so vital and why it’s necessary that more people step up in the work to save our youth. “I see our brothers in the streets getting more frustrated as no jobs are available. And then they are watching our institutions in the community losing hope and barely surviving, so who will they look to for guidance? A lot of promises are being made to the young people and they are not being met so young people are looking to take charge today,” said Gordon. Gordon points out that what’s happening in Ferguson, Missouri is further stirring up a spirit within the youth that he’s witnessing right in Houston.